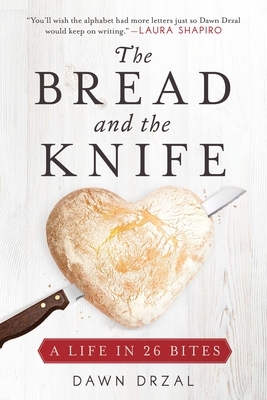 As it was for M. F. K. Fisher in The Gastronomical Me, food is more than a metaphor in The Bread and the Knife. It is the organizing principle of an existence. Starting with "A Is for Al Dente," the loosely linked chapters evoke an alphabet of food memories that recount a woman’s emotional growth from the challenges of youth to professional accomplishment, marriage, and divorce. Betrayal is embodied in an overripe melon, her awakening in a Béarnaise sauce. Passion fruit juice portends the end of a first marriage, while tarte Tatin offers redemption. Each letter serves up a surprising variation on the struggle for self-knowledge, the joy and pain of familial and romantic love, and food’s astonishing ability to connect us with both the living and the dead. The book includes six recipes that run the gamut from "Crepes Filled with Huitlacoche" to her stepfather’s homely “Stromboli Stuffing,” including a couple that are more entertaining to read about than to prepare, like liquified olives with pimento. Dawn Drzal, a former cookbook editor, has published articles and essays in the New York Times, the New York Times Sunday Magazine, Food & Wine, O., and the Antioch Review. Between 2006 and 2016, she was a regular contributor to the New York Times Book Review. Her essays have been anthologized in, among other places, Eat Memory: Great Writers at the Table, edited by Amanda Hesser. She lives in New York City with her son. "Evocative . . . Drzal traces the delicate emotions packed into a scene with the precision of a miniaturist. She is particularly skilled at conveying the quality of pleasure taken in the face of loss . . . [and has] a knack for metaphors so perfect as to seem inevitable." —New York Times Book Review, "Editors' Choice"
"A memoir along the lines of M.F.K. Fisher's epic epicurean book, The Gastronomical Me. "—BeautifulNow, "Most Beautiful New Memoirs"